Today Nick Clegg said to the Liberal Democrat’s conference that the LibDems are “not here to prop up the two-party system“. Really? The first clip above (all videos are best watched in full screen for subtitle readability) is Lord Razzall, former Chair of the Liberal Democrats’ Campaigns and Communications Committee responsible for running the Liberal Democrats’ election campaigns, telling the BBC’s Daily Politics programme a few hours earlier that he does not think that the LibDems are going into the 2015 election as a party seeking coalition. Most of us do not want coalition governments and never have done! Notwithstanding, that surveys consistently show that the majority of us do not want coalition government in the UK, it would appear that Nick Clegg is very clear that coalition is not only the best that the LibDems can hope for but also the only objective that they should have in 2015 and beyond. So whether it’s a Tory austerity and tax cuts for the rich agenda or Labour’s, as yet unspecified but assumed, higher taxes on the wealthiest and welfare protection/expansion plan, Clegg’s moral manoeuvrability allows him to square being in coalition with either party and, we must assume, also supporting both diametrically opposed political philosophies. How he can justify this is anyone’s guess but it is clear why he is trying to persuade us that it is a reasonable position to take – he calls it a big “opportunity to anchor Britain to the centre ground” but I suggest that what he really means is it is his best chance of retaining a seat in cabinet. Nick Clegg leads a party with the support of 14% of the electorate and, given current polling, there is a distinct possibility that his party could be part of a Labour led coalition in 2015. However, mathematically, there are circumstances where the LibDems might be in a position where they could choose whether Miliband or Cameron is PM following the next election. How can it be right that a party with such low support in the voting population can wield such extraordinary political power? 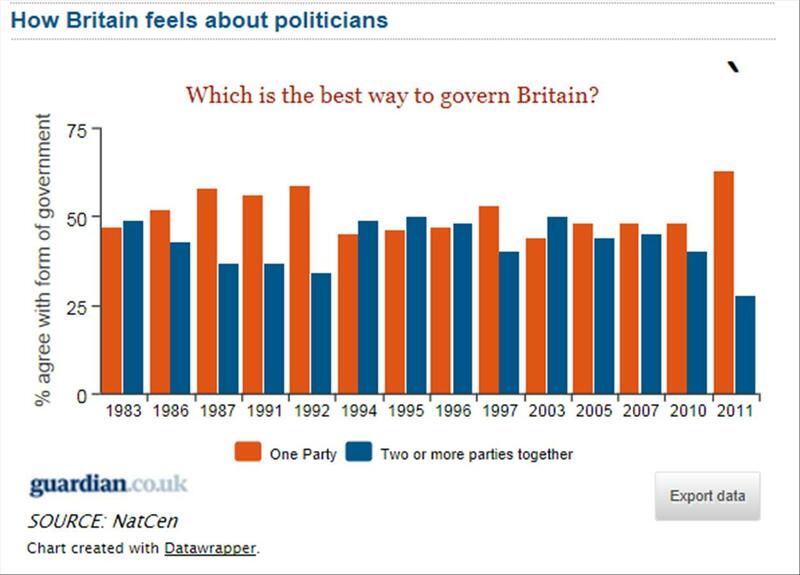 Whither British parliamentary democracy? Daily Politics analysis of his speech.